Coin collecting (numismatics) is one of the oldest hobbies. It is hard to put an exact date but English coinage is said to have begun around 790 AD with the silver penny of King Offa of Mercia (757-96 AD). A specialist branch of numismatics is collecting trade tokens (classed as exonumia, which also includes medals and other tokens). Essentially, trade tokens are coinage issued by individuals and companies rather than the authorities. There are three periods in British history where trade tokens were commonplace. In the middle of the 17th Century (1648-72); the end of the 18th Century (1787-97); and at the beginning of the 19th Century (1811-17). However, their origins are much older. The main reason tokens were issued was due to a shortage of official coins, particularly in the low values that the average person used in their daily lives. 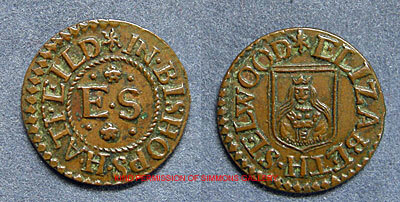 The majority of tokens were issued in three values: farthing (0.25p); halfpenny and penny (the first penny token is reported to have been struck in North Wales in 1663). While pewter and lead tokens were issued, copper and brass were the common base metals used (giving rise to the expression, it's not worth a brass farthing). Tokens were issued by a wide range of tradesmen and artists – innkeepers, apothecaries, grocers, fishmongers, haberdashers, ironmongers...estimates vary but between 12,000-14,000+ different types of tokens were issued in middle of the 17th Century (1648-72). 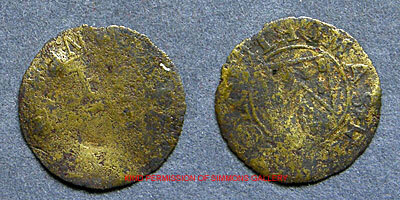 However, tokens had a fatal flaw – they could generally only be used in the shop or business that issued them. So their decline was inevitable (helped also by official crackdowns). 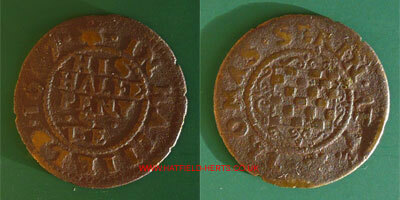 Hatfield's most celebrated token is the Serin Half Penny. Issued by Thomas Serin, landlord of the Chequers Pub. In reality, thought to be Thomas Searancke (1620-1688) of the brewing family of that name – please see Claims to Fame – Brewing. 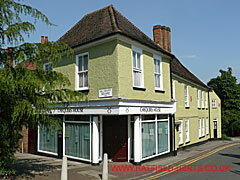 Now a private property, the building – shown in the picture at the top of this page – still stands at the foot of Fore Street, and bears the commemorative plaques shown in the photo below on its walls. 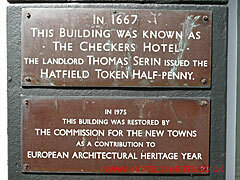 For the benefit of people using screen readers the first plaque reads: In 1667 this building was known as the Checkers Hotel. 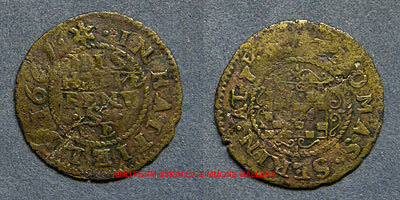 The landlord Thomas Serin issued the Hatfield Token Half-Penny. The second plaque reads: In 1975 this building was restored by The Commission for the New Towns as a contribution to European Architectural Heritage Year. Please note: there is a variation in the spelling of Chequers (in the days when few people could read and write variations in spelling were common. However, the version spelt with a 'q' is used in most history books and is currently used on the building's exterior signage). These two examples show how the quality of surviving examples of the same token can vary. Not surprisingly, given its location on the Great North Road, most surviving Hatfield tokens were issued by innkeepers and publicans. Please note: like most collectibles, the value of trade tokens is affected by their condition and rarity. The tokens shown below realised prices ranging between £7-134 at an auction on 21 October 2009. A Hatfield token not shown here is the Joseph Faircloth Farthing. Thank you to Frances Simmons of Simmons Gallery for permission to use images from the 21 October 2009 sale catalogue.